It is unfortunate to have lost a mobile phone. If you’re wondering “where is my phone” then this tutorial tells you how to track your lost mobile phone or tablet. You can ask Google (Yes!) or you can use services of mobile phone manufacturers to trace your phone. A friend had recently arrived in the city and she lost her brand new Samsung Galaxy mobile phone on station. She does not know whether she misplaced it, dropped it somewhere or if the phone has been stolen by someone. Whatever is the case, losing a mobile phone is quite a shock not only because it’s an expensive device, but also because it contains important data. In such moments, we all feel if we could somehow track our mobile phone. The good news is that it is indeed possible to track your phone or tablet! In this article, we will discuss how track your lost Android phone or tablet computer. This is the easiest way to track down the location of your Android phone. Android Device Manager (ADM) is a Google service that keeps track of your phone. Want to know how it works? Well, you already know that Android is Google’s product. When you buy an Android-based phone, you need to log into your phone using a Google Account. You would always remain logged into your Google Account as long you’re using your phone. With the help of this continuous connection with Google servers, your phone keep on transmitting its location into your Google Account. By the way, you may be surprised that this is how Google Maps shows real time traffic situation as well! 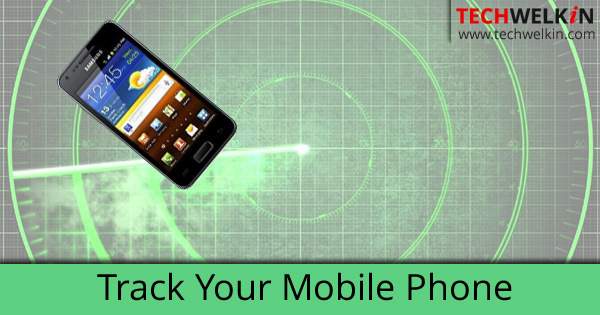 Learn how to track your mobile phone. You can find ADM settings in the Google Account settings of your phone. In some cases, these settings could also be located under Security settings. By default, ADM is configured to be able to locate your phone. But, by default, remote locking and data erasing options are turned off. It is recommended that you go to your phone’s Security settings and turn this option on. This may come handy as this option will remotely secure your phone and data. Sign into your Google Account (you automatically get signed into it when you use Gmail). This account must be same as the one which you’re using on your lost mobile phone. Google will show you a map with the current location of your mobile phone. You’ll also see an option to Ring your phone! 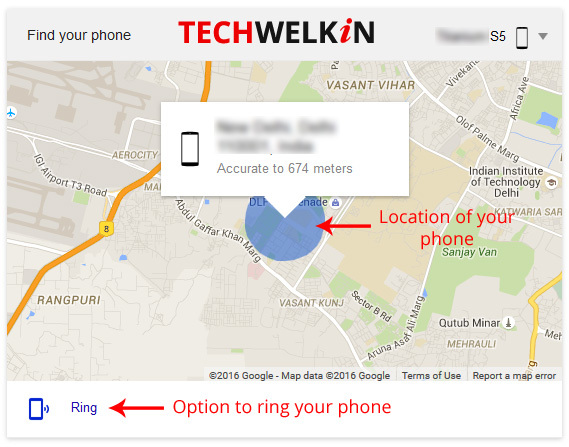 When you will click on the Ring option, your phone will ring wherever it is. This little feature is very useful if you’ve forgotten where you had left your phone in your house. Your phone will ring and you’ll hear it if it is around. You can track your phone by typing “where is my phone” in Google search. Remotely track your phone using Android Device Manager. You can also remotely lock your phone and erase its data. As we said earlier, you need to turn on the option to remotely lock and erase data. This setting needs to be changed in your phone. So basically you should do this as soon as possible. If you haven’t yet turned this option on, we recommend that you do it right now. It is a preemptive action that would be useful in case you lose your phone in future. Assuming you had turned on the required setting; in Android Device Manager, you can change lock password. This would mean that the thief will not be able to gain access to your phone even if he earlier knew your password. In order to use the phone, he will have to format it. This would ensure that your data will get erased without getting into the hands of thief. However, if you don’t want to take any chance, through ADM you can erase data as well. This will set your lost phone back to factory settings. ADDITIONAL TIP: It is recommended that you use app lockers to create an extra layer of security around your personal data on your mobile phone. 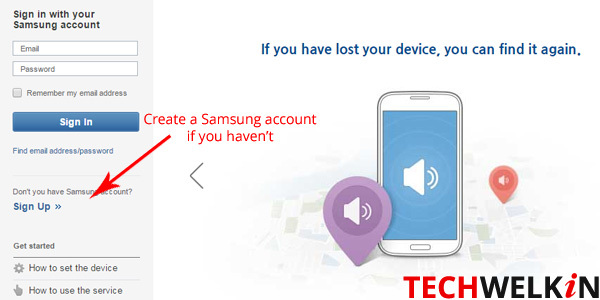 If you have lost a Samsung phone, you can easily track it using Samsung’s own tracking service. This service is called “Find My Mobile”. You can (and you should) create a Samsung account while you have your phone in hand. Thereafter you just need to remember your login and password. In case you lose your phone, you can go to the Find My Mobile website of Samsung and log into your account. Samsung will track the phone for you. Find My Mobile is Samsung’s service to track Samsung mobile phones. If you take preemptive actions before your phone is lost, chances are that you would be able to locate it. Moreover, you can also protect your data if you take precaution. 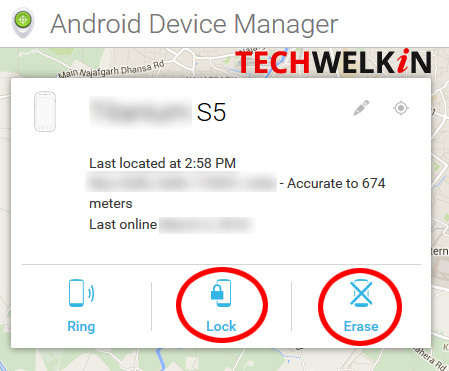 So, we recommend that you activate Android Device Manager settings on your phone. Also, if you have a Samsung mobile, you should activate a Samsung account. We hope these tips were helpful. Please feel free to ask us questions on the subject of tracking a lost phone. We would try our best to be of assistance. Thank you for using TechWelkin.